Q: What sparked your interest in Indian artifacts and culture? A: The ranch where I grew up was located near what later became known as the Glendale Archaeological Site. At an early age, I was finding hundreds of Indian artifacts in the fields of our farm. It was there I had the opportunity to hunt, fish, work and become friends with many of the Indian people who worked with us on the ranch. It has always been a thrill for me to find a finely chipped projectile point glistening in the sun, to pick it up and realize that I am the first person to touch that artifact since it was created, perhaps thousands of years ago. At that instant, there is almost a spiritual connection between me and that ancient hunter. Q: I enjoyed Gathering Traces of the Great Basin Indians. What can I gain from buying the second edition? A: The second writing of the book contains many new photographs of projectile point types not shown in the first edition. The Projectile Point Chronology Chart has been corrected and updated with new information. There is new information about the amazing Spirit Cave Man discovery that was not known when the first book was printed. I have included a new chapter that quantifies how many projectile points there are still hidden out in the mountains and deserts of the Great American Desert. The new edition contains a delightful chapter about two young Indian boys learning how to make arrows. The new edition is now available to the general public in hardcover for the first time. Q: Why the title change for the second edition of Gathering Traces? A: The title change was necessary since about half of the content is new information. The emphasis is now on preserving artifacts rather than merely gathering them. I do not want people to have the perception that I encourage ransacking archaeological sites in search of artifacts. 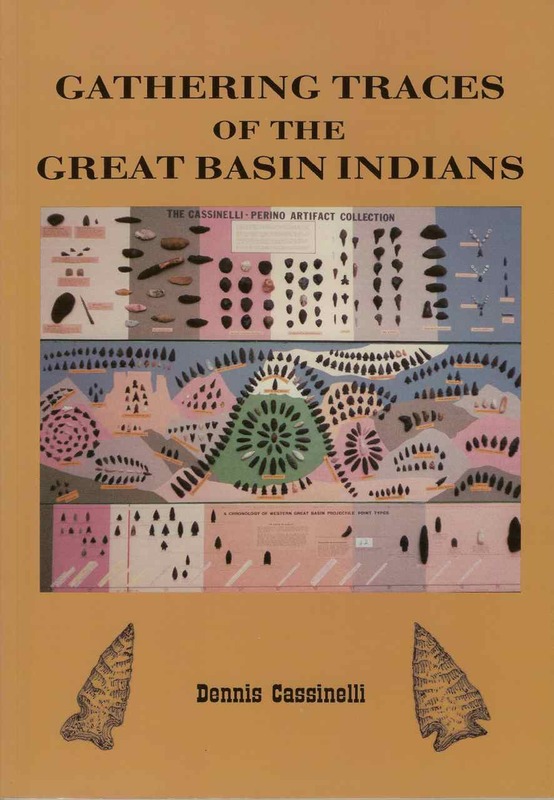 All the artifacts pictured and described in the book have been cataloged and donated to museums for preservation for people to see and learn about the ancient inhabitants of the Great Basin. Q: You’re not a professional archaeologist. What qualifies you to write about the Great Basin Indians? A: Amateur archaeologists such as I have made many significant contributions to our knowledge of American prehistory. Interesting and informative books are routinely written by people with nothing more than a passion for a subject. You don’t have to be an architect to write a description of a beautiful house. I have worked in several jobs where my passion for archaeology was put to use. I worked for the Desert Research Institute doing archaeological work when I was a student at the University of Nevada, Reno. When preparing the Cassinelli-Perino Artifact Collection for museum display, I learned the methods used by archaeologists to identify and date projectile points and other artifacts. I did all the pen-and-ink drawings for hundreds of artifacts. I have worked for the Nevada State Museum where I made a major archaeological discovery of coin dies from the old Carson City Mint. As a contractor and highway engineer for many years, I have rescued hundreds of artifacts from loss or destruction on construction sites. Q: I heard you’ve written a new book titled Uncovering Archaeology. What’s it about? A: This is a critique of how archaeology and anthropology have been practiced over the years. It highlights many of the good — and not so good — things archaeologists have done and continue to do today. Professionals are reluctant to critique their own profession. I know where enough of the archaeological skeletons are buried and some of the shennanigans that have taken place to write a humorous, yet serious, critique of the profession. Q: Do you ever give any lectures about the Great Basin Indians that I can attend? 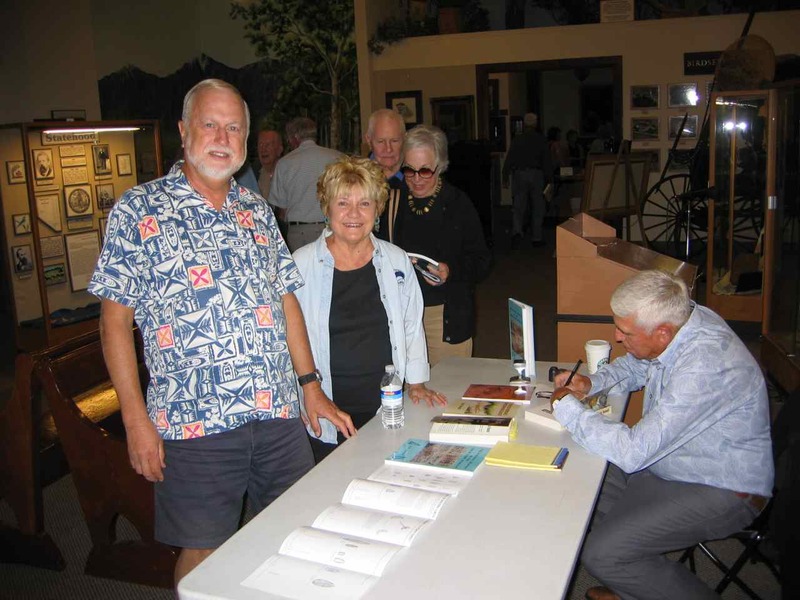 Dennis signs books at the Carson Valley Museum & Cultural Center in Gardnerville, Nev.
A: Every spring for about ten years I have done a lecture at the Gold Hill Hotel near Virginia City about the prehistory of the Great Basin. I have done other lectures and talks about the subject for the Douglas County Historical Society and at several book signings I have done. I often bring artifact displays with me to these events to illustrate the topic and to show the beautiful workmanship of the artifacts. I am available to do lectures for any group of interested people. Q: Do you encourage people to hunt for Indian artifacts? A: The Archaeological Resources Protection Act (1979) and others prohibit anyone from “hunting for Indian artifacts” on state, federal, Forest Service or Indian-owned land. I do not encourage anyone to engage in any activity that is against the law. I show copies of the appropriate state and federal laws that apply to artifact collecting in my book. These tell what you can and cannot do with regard to artifact collecting. It is legal to collect such items on private-owned land as long as you have permission of the land owner. Q: Tell us a bit how you created the Cassinelli-Perino Artifact Collection. 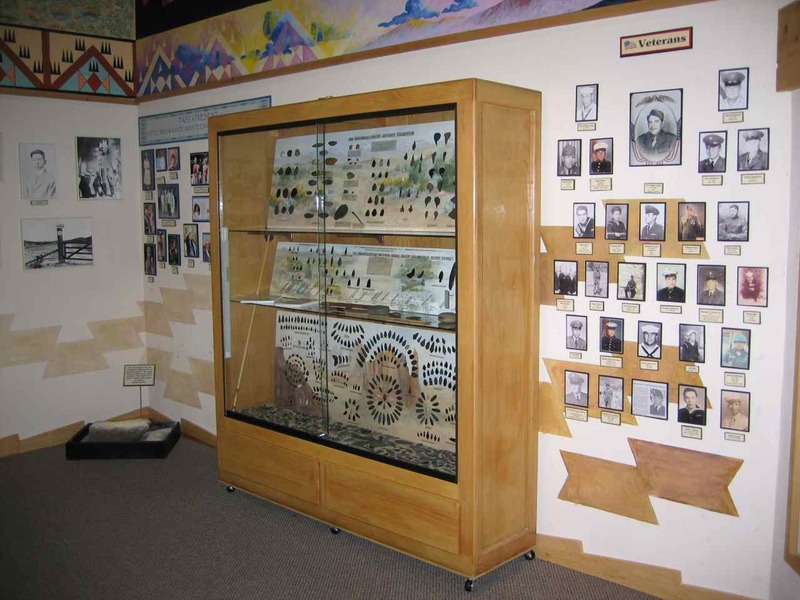 The Cassinelli-Perino Artifact Collection is on permanent display at the Carson Valley Museum & Cultural Center. Q: What inspired you to write Legends of Spirit Cave? A: Arguably the most significant and interesting archaeological discovery ever made in the Great Basin was the Spirit Cave Man discovery. The partially mummified remains of a middle-aged man were discovered in Spirit Cave east of Fallon, Nevada in 1940. Radio-carbon dating was performed on the remains in the 1990s. The results of these tests showed that the man had lived here in western Nevada nearly 10,000 years ago. Further studies, including a forensic reconstruction of the man’s facial features, revealed that he was not related to any known Indian tribe. The Paiute and Shoshone Indians filed legal action to prevent any further study of the remains, claiming the man was their ancestor and that they should be allowed to re-bury the remains in accordance with the Native American Graves Protection and Repatriation Act. Court rulings admonished professional archaeologists and anthropologists from any further study of the remains. They were not allowed to write any articles or discuss any of the findings they had learned about the man. This action left a great void in the written material available for people to read about this man and the times when he roamed the Great Basin. To help to fill this void, I wove together a prehistoric novel in which I combined factual information about how the people lived in those days, including how they hunted, what they ate, the medicines they used and the legendary stories they told. The resulting story, though fictional, recounts the travels of this man and and his family and provides insight into a culture long lost to the shifting sands of the Great American Desert. Q: What other resources (i.e. books, museums) do you recommend for others interested in Great Basin culture? A: I hesitate to make such recommendations due to political correctness and biases that appear in many books and even museum displays where Native American culture is discussed. An example is the “Under One Sky” display of Indian culture at the Nevada State Museum. In this display, the curators have made captions that show the interpretations made by the professional archaeologists and anthropologists. Alongside the scientific findings are the interpretations made by various Native Americans based on their oral traditions. In my opinion, the professionals should stand by their findings and disregard oral traditions, which cannot be expected to be accurate beyond a few generations. Oral traditions are interesting stories and mythology, but I do not think they should take precedence over scientific research. This topic is discussed at length in my book, Uncovering Archaeology. The Nevada State Museum bookstore has an excellent selection of books on Great Basin Indian culture. I caution anyone researching the topic to beware of newspaper and magazine articles and much of the garbage found on the Internet.